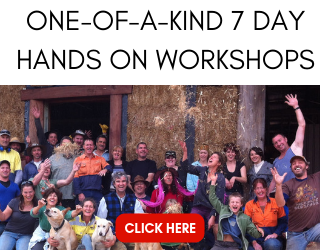 For me, the extra work of compressing your straw bale walls is more than worth it in the end and the quality of the overall job you will get as a result of this step is measurably better than working with soft or loose walls. 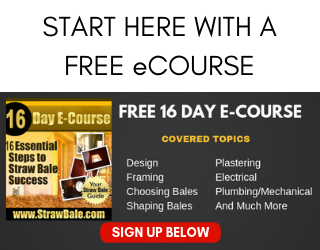 If you plan to build your straw bale house with angular walls, instead of using common right angle intersections, this post will give you a simple, fast, and effective way to build strong, structural corners. One of the most artistic expressions of a straw bale wall are the niches that are carved into it. 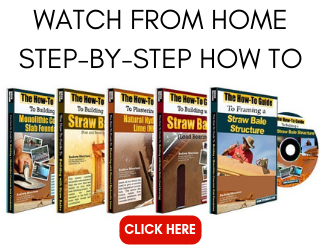 I have laid out a step-by-step process for the most common niche I see in straw bale homes: the arch top.